These non-candy easter egg fillers available in Single Serve packs are a perfect alternative for a “healthier” Easter basket. Small enough to fit in an Easter egg, Sunkist Snacks single serve packs contains delicious premium fruit and tree nuts (no low-cost fillers like raisins and peanuts) to give you and the kids a satisfying, perfectly portioned snack. Not just for the kids, each flavor has premium, exotic fruits to satisfy the curious palate. Flavors include: Strawberry Banana Blend, Pineapple Coconut Blend and Breakfast Espresso & Granola Blend. Sold at major grocers such as Walmart and Ralphs as well as online at SunkistSnacks.com. Not only is this a delicious treat perfect for the whole family, but also a better-for-you snack that has a unique, hulless, “miniature kernel.” Popped in 100% pure olive oil, each popcorn is gluten-free, non-GMO, dairy-free, kosher and certified whole grains. 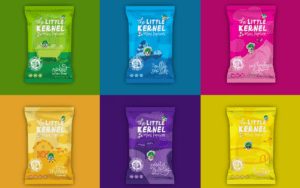 Even better, The The Little Kernel comes in delicious flavors perfect for Easter! Think Sweet & Salty, Truffle Sea Salt and Pink Himalayan Salt. Fill baby’s Easter basket and belly with tasty, non-sugar filled treats! This brand-new line of organic teething wafers make for fun non-candy easter baskets, perfect for babies. NOSH! 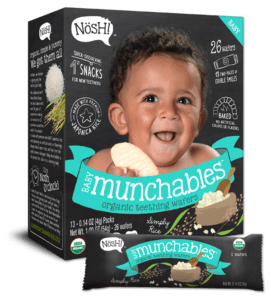 Munchables organic rice snacks are made with USDA-certified organic ingredients that are simple and natural. Babies love to munch on these tasty treats that come in a variety flavors, including Broccoli, Pear and Kale; Strawberry-Beet; Banana and Mango; and more. They’re also free of gluten, tree nuts and dairy! NOSH! just launched at Babies“R”Us® throughout the nation! Since this major movement toward Easter baskets without candy began, Firefly toothbrushes make for a fun, healthy Easter basket item that will encourage kids to develop healthy bruising habits. Raising healthy kids is a parents #1 goal, which is why parents are staring to ditch the sugar infested Easter basket and include more goodies and games like sidewalk chalk and gardening tools to help kids practice healthy lifestyle choices. Featuring kids’ favorite characters such as Spider Man, Hello Kitty, Star Wars favorites, Finding Dory and many more, Firefly infuses tech features to keep kids entertained while brushing their teeth—like the Star Wars Lightsaber toothbrush that lights up and plays Star Wars sounds for 60 seconds to help reach the full 2 minute brush as recommended by dentists. Make sure your little one is dressed for the occasion! 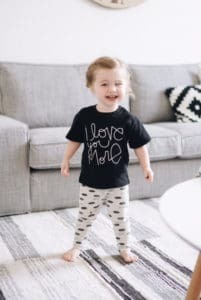 Tenth and Pine makes it easy for you to shop for your kids with their gender neutral line! Your munchkin will love you more this holiday with a comfy t-shirt or romper from Tenth and Pine! 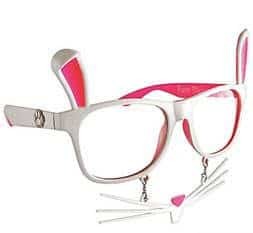 Easter is just around the corner! 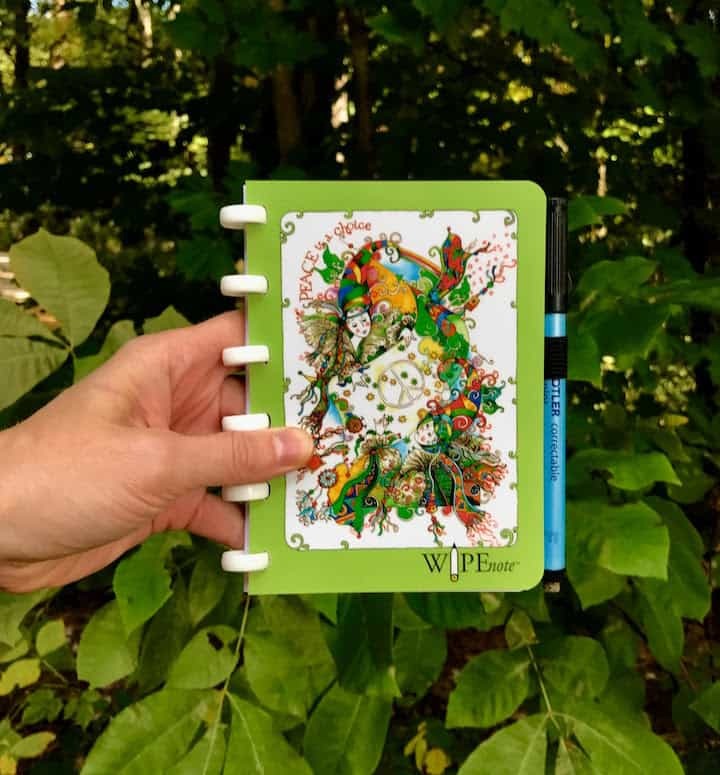 Fill up your child’s basket with a fun-filled gift they are sure to enjoy – Beyouneeq’s Wipenote Notebook. Nurture your little one’s love of creativity with an artsy accessory that allows for endless creations. Write, draw, and erase as many times as you want! Perfect for artists, designers, writers, students and kids – you can create hundreds of masterpieces with the stroke of your pen. The kids Sun-Staches are FANTASTIC for Easter Baskets! They even have bunny ones and other kids designs and licenses from the hottest kids’ shows like P.A.W. Patrol, PJ Masks and Miraculous Ladybug and Cat, Disney characters and more! 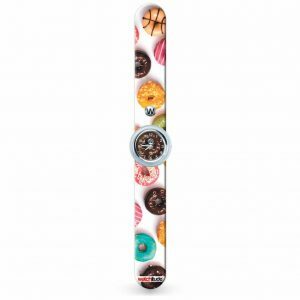 Take it back to the 90s this spring season anywhere you go with a new, innovative collection of slap wrist watches from Watchitude. Let your child celebrate the first signs of spring with a butterfly themed watch or one featuring the luminous sea floor. Watchitude’s new patent pending technology enhances colors and brings designs to life with its brilliant photographic quality. Your little rascal can choose from over 100 eccentric designs to help show their personalities and embody who they truly are. 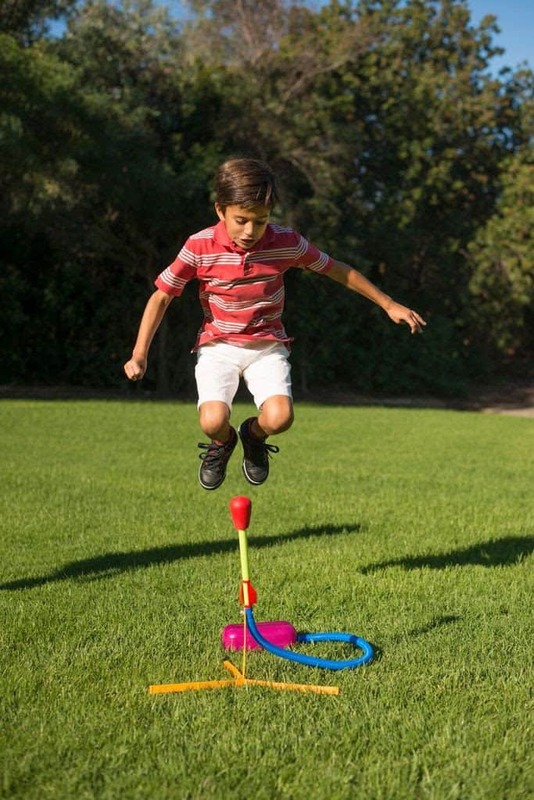 My favorite part of the Stomp Rocket line is that it incorporates STEM learning to teach kids the important science concepts like gravity and trajectory while also using kid powered force ( i.e. exercise)! I love to stash these in my luggage for a “reward” toy after a long day of traveling with the kids. 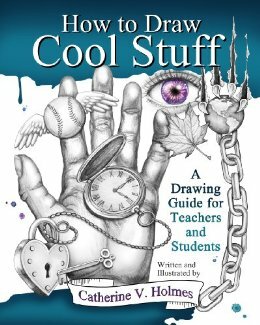 How To Draw Cool Stuff series by art teacher and professional artist Catherine V. Holmes guides readers through the basic principles of illustration by concentrating on easy-to-learn shapes that build into complex drawings. The original How To Draw Cool Stuff and the subsequent books, How To Draw Cool Stuff: Shading, Textures and Optical Illusions and How To Draw Cool Stuff: Holidays, Seasons and Events, each offer unique lessons for readers. What Non-Candy Easter Basket Ideas are you considering this year?